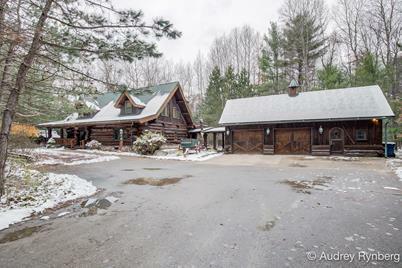 Breathtaking log home situated on 40 acres of diverse forest & terrain with frontage on the Little Muskegon River, a phenomenal trout stream! 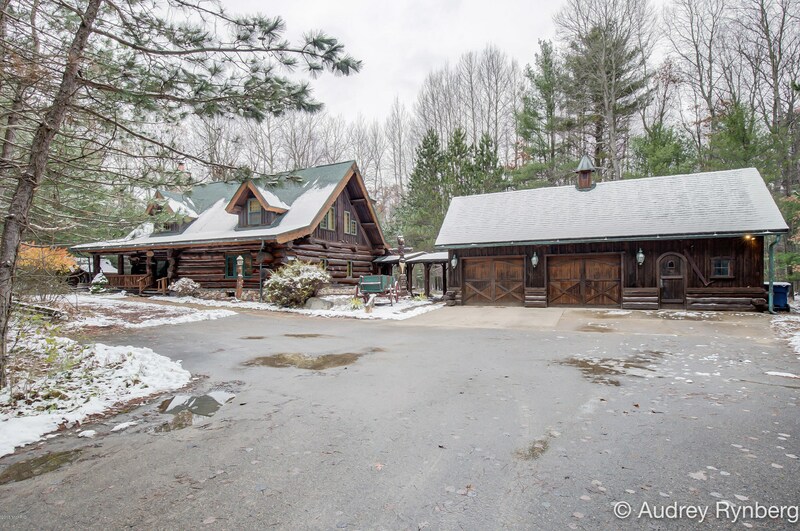 This home is handcrafted from local white pine trees with log diameters up to 24'' wide! Enchanting artisan crafted home under the pines, invites you to come inside & relax. As you step on to the wraparound porch you'll notice the handcrafted touches starting with the front door. Step inside & it feels like you are entering a mountain lodge resort! Soaring ceilings, wood floors, tongue and groove custom wood details throughout! Home features a main floor master suite & laundry, an additional suite in off the 2nd story loft is great for guests! Spend this winter by the fireplace, watching nature & catching up with your favorite book! Driving Directions: 131 N to exit 118 west to Cypress N to 72nd E to home on the north side. Above Ground: 1,800 Sq. Ft. Finished Total: 2,200 Sq. Ft.
7803 E 72nd Street, Newaygo, MI 49337 (MLS# 18055479) is a Single Family property that was sold at $495,000 on April 17, 2019. Want to learn more about 7803 E 72nd Street? Do you have questions about finding other Single Family real estate for sale in Newaygo? You can browse all Newaygo real estate or contact a Coldwell Banker agent to request more information.